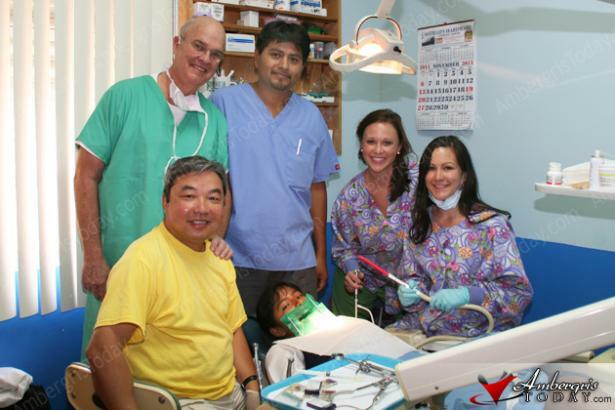 Some of the dentists are retired, such as Dr. Lam and Dr. Snyder, who visited during the last month. The islandÂs own Dr. Mark Johnson also regularly provides services to Holy Cross students. He moved here from the USA and now has a part-time dental practice on the north island. Most of the visiting dentists and hygienists visit during their vacation. They offer free teeth cleaning, fill cavities, perform root canals, extract teeth, and give fluoride treatments. A major goal is also to educate the students on basic oral hygiene. Their services are provided at no cost. The Gift of Education. 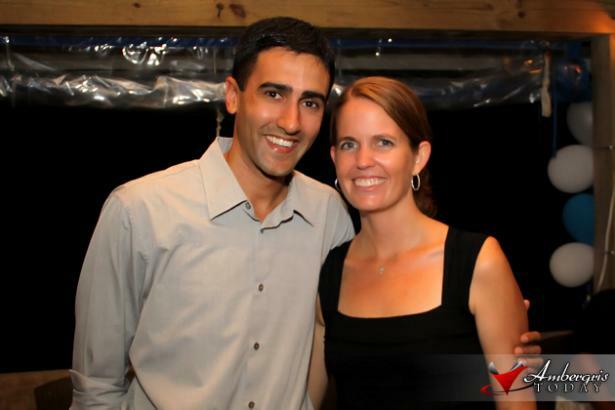 Kelly and Mukul Kanabar are successful young entrepreneurs in San Pedro. They own three reputable San Pedro restaurants. They also own and operate Wine de Vine and The Phoenix. They own the award winning restaurant, Blue Water Grill. ItÂs one of our favorites. Between their various businesses, they employ 93 people. But they also regularly give back to their community. This week Mukul announced that they would give their employees' children assistance with their high school tuition expenses. During the next ten years they will hand out 79 scholarships. Â This first year, 13 students will receive a scholarship to one of the local high schools. Each employee will receive one scholarship for their family. Christmas Gifts for Needy Kids. 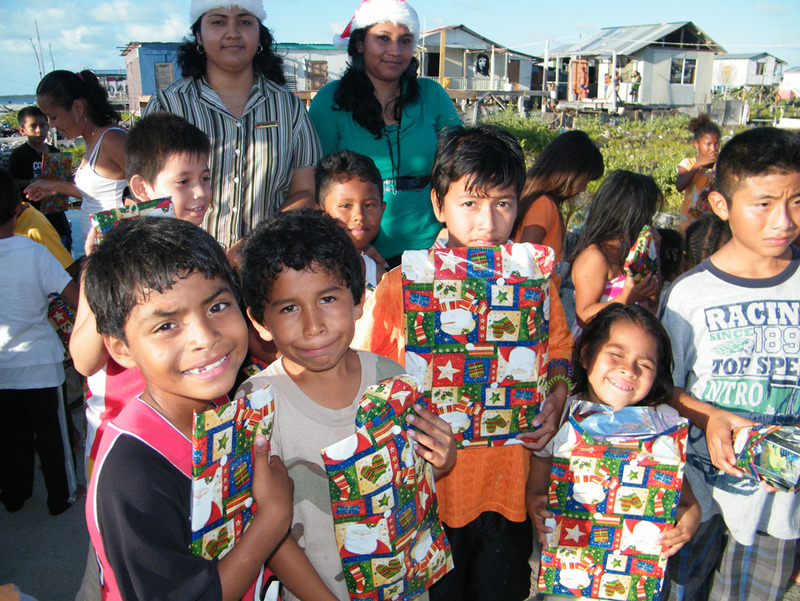 Multiple groups on the island organized toy drives for the islandÂs disadvantaged kids. Each group focuses on a different island neighborhood. Scotiabank and the Development Finance Corporation both organized a toy drive for the San Mateo district, the poorest area. Living Word Church took to the streets of the San Juan Area, the Town Center, and San Pedrito. Â They drove around in their colorfully decorated golf carts, caroling along the way. As they drove around town they handed out gifts to appreciative children. Christmas Party for Seniors. 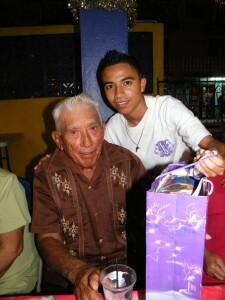 The San Pedro Lions Club regularly assists people in need on this island. They believe that the islandÂs seniors deserve special love and appreciation over the holidays.